“cultural Marxism,” . . . has gained great currency in the media, entertainment, academia, and politics. More and more, the political and media elite disparage the cultural values of the traditional working class. …the Democratic Party increasingly reached out to minorities, and although this segment of the electorate was once small, new voters could be imported by way of mass immigration from the third world. To be expected, this development created a large pool of cheap labor as well as a deluge in new welfare recipients who were more inclined to vote for the Democratic Party insofar as it favored an expansion of government programs to help the poor. Some studies have arrived at figures as high as 20 to 25 percent of women will be sexually assaulted during their time in college… Instead of 20 to 25 percent, the real figure is barely more than half of one percent. These quotes are all pulled from a laudatory, uncritical, and almost entirely unskeptical book review hosted at Skeptic.com, of all places. Is it really true that mass immigration has recently caused a surge in welfare expenditures, here in the United States? I doubt it, but I’d be readily convinced by good data. Is it true that less than half of one percent of American college women experience sexual assault from matriculation through graduation? I doubt it, but I’d be readily convinced by good data. Is it true that mainstream American media have been striving to “disparage the cultural values of the traditional working class” increasingly over time? I doubt it, but I’d be readily convinced by good data. Is it true that the political left generally seeks to restrict ordinary (consensual) expressions of heterosexuality? I doubt it, but I’d be readily convinced by good data. Perhaps Yiannopoulos presented persuasive data, perhaps not. Maybe his book is more than a collection of anecdotes, after all. If so, the reviewer at Skeptic magazine failed to make that clear to those of us who have yet to read the book. 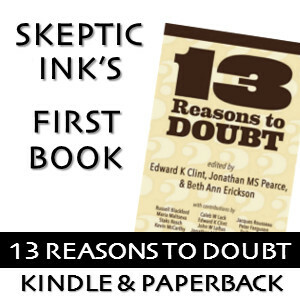 How can one expect self-identified skeptics to spend time and money on a book which makes bold and testable claims but doesn’t take the trouble to back them up? I can only think of one word to describe this sort of epistemic recklessness: Dangerous. Note their comparison to the NCWSV on the second page. Now, I don’t think the DOJ study “debunks” the NCWSV study – more like they exercised slightly different classifications of assault. But you can’t say the figure is uncited. Does the author of the book review provide us with any reason to suppose the NCVS measures sexual assault better than the NCWSV? As I recall, the latter was designed to overcome methodological shortcomings in the former. Isn’t this the same book that sold less than 200 copies? Yet, it’s on the NYTimes best seller list? I hate to say it, but I’m really surprised to see a favorable review of anything Yiannopoulos has done in any sort of publication dedicated to critical thought. He seems to have an extreme dislike of feminism, the mainstream acceptance of homosexuality, and expert facts and statistics. I agree with Damion that if he were to show how and where he got some of the figures, I’d be more inclined to consider the claims he’s making. The way the reviewer phrases his final paragraph, he seems to approve, and even promote his antics. “Although many of his detractors hate him, it was the many absurdities of contemporary identity politics that gave rise to Milo, for it was only a matter of time before a counter-movement emerged to challenge the hegemony of the social justice left in the culture of the West. He embodies the irreverent ethos of the mischievous and sometimes mean-spirited online right. Highly entertaining, charismatic, and as he likes to put it, “transgressive,” Milo is one of the most influential figures to have emerged from the rise of the Trumpian right. Dangerous will inform, offend, entertain, and outrage its readers—at times—all at once. ” The term “mischievous and sometimes mean-spirited” really underplays the malicious, hateful nature of the InfoWars/Breitbart/Trumpian crowd. Perhaps skeptic.com needs to change its name to credulous.com.